Bob graduated high school in Monticello, UT in 1954. He married Ione Miller in 1956, she preceded him in death. They had five children; Larry Slavin (Debbie), Blane Slavin (deceased), Kathy Slavin, Jack Slavin, and Troy Slavin (Kelli). They had 10 grandchildren and 11 great grandchildren. He married Ann Burk Bothwell in 1997 and gained 5 daughters, Leatitia (Jason) Langston, Elizabeth (Todd) Mills, Anita (Glen) Costa, Annette (Marshall) Wentz, Esther (Chris) Ivey and 9 grandchildren with that union. Bob had various jobs, but trading was his passion. Bob never met a stranger. 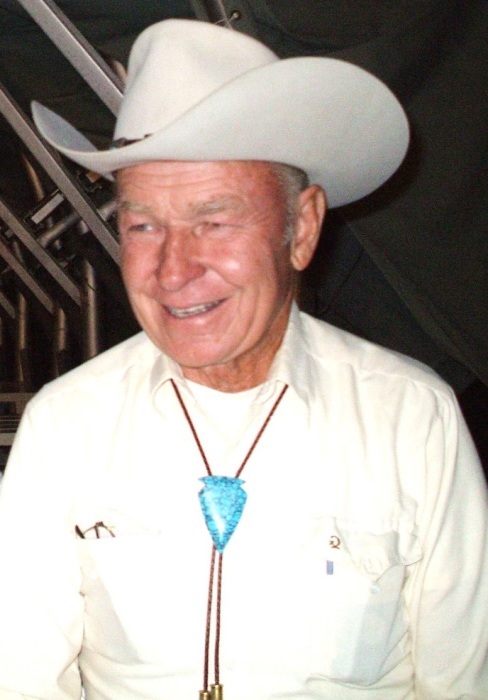 With his Roy Rogers good looks, loving life and the Lord, he always had a smile, handshake and a big hug for anyone. He was vigorous, charming, outgoing, steadfast and “a li’l” ornery. He will be greatly missed by all who knew and loved him. Bob’s sisters and brothers are Wanda Lee Brandt (deceased), Jan Okerlund Gillit, Ron Slavin (deceased), Malva Morgan Jones and Vicky Firkins Romanowski. A viewing will be held at 9:00 am, followed by a funeral service at 10:00 am, on Thursday, February 7, 2019, at New Haven Baptist Temple, 2016 E. 16th Street, Farmington, NM, conducted by Pastor Burt Blackburn. Burial at 3:30ish, Mountain View Cemetery, Monticello (Eastland), UT. Bob’s care is entrusted to Cope Memorial Chapel of Farmington, 404 W. Arrington St., Farmington, NM 87401, 505-327-5142. Those who wish to express their condolences may do so at www.serenityandcompany.com.